In the shadow of the Great Depression, criminal minds are thriving -- notorious men like John Dillinger (Johnny Depp), "Baby Face" Nelson (Stephen Graham) and "Pretty Boy" Floyd (Channing Tatum) -- and it's up to J. Edgar Hoover (Billy Crudup) and the FBI to bring them down. Michael Mann directs this gritty crime drama based on the book by Bryan Burrough. Christian Bale, Giovanni Ribisi and Leelee Sobieski co-star. I could not think of a better way to spend a hot 4th of July afternoon than with Johnny Depp. The 1930's were such an interesting time in crime. In the retelling of history, stories about John Dillinger and his like have been romanticized over and over again. Even then, Dillinger was loved by the public while being hunted by the FBI. It did not matter that he robbed banks and murdered people now and then. I certainly did not care by the end of the movie, hoping against hope that Dillinger would come out on top. And that's even knowing how history would play out. I was less impressed with Christian Bale's character Melvin Purvis, the FBI agent put in charge of bringing in John Dillinger. While Bale's performance was wonderful ,the character himself seemed less than sympathetic. Just the same, I admired his dedication and it was obvious he cared about his men. Marion Cotillard was well cast in the role of Billie Frechette, John Dillinger's love interest. There was an innocence about her and yet she was very smart. I loved the scene at the coat check desk when Dillinger demands to know why she hadn't waited for him at the curb at the restaurant. She definitely wasn't a pushover. 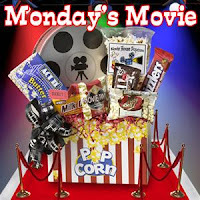 Carleen @ Life, Liberty & Good Coffee recently suggested the topic of subtitles: We aim to please here at the Monday Movie Meme so here you go Carleen! We don't watch a lot of foreign films. Part of the reason is that Molly grew up with a Dad who liked to read the words on the screen out loud which got old really fast. But the bigger reason is that it takes a while to adjust to skimming the words while trying not to miss out on any of the images - so maybe having Dad narrate wasn't such a bad idea after all. It makes watching movies feel like work sometimes, but of the few we have seen, they have been worth the effort. Share some of the subtitles worth reading on your blog and link back here at The Bumbles. Do you watch movies with subtitles? If so, what are some of your favorites? If you're reading this on a site other than Musings of a Bookish Kitty or Wendy's (Literary Feline's) feed, be aware that this post has been stolen and is used without permission. I had totally forgotten Il Postino. I love your blog and look forward to visiting again. I look forward to hearing about other movies that have slipped my mind. Thank you for stopping by Terry Kate! You mentioned one in your post I forgot too. I'm kicking myself for leaving out Amelie. I can't get them all though, I suppose. :-) It'll be fun to see what others come up with, I agree. I was curious about this movie. I'm so glad that you reviewed it! I hope this is the beginning of a great week for you! I love Life is Beautiful too. Subtitles distract me. Sometimes there are subtitles to English or Hindi movies which are kind of irritating. But I love to watch Foreign language films with subtitles. It's so much better than dubbing them. Now that I'm back stateside, I need to get caught up on my movies. Not that I would be able to see my Johnny with kids in tow, but still! As far as the subtitles, you and I have alot in common. Check out mine! Ah Hero how could I miss that one! I agree english dubbing just doesnt work mostly because (I think) the studios do it cheap and seem to just pull people of the street. Also the script tends to get changed so it looses the meaning a little. This is most noticeable for me in Japanese Anime. I can not stand to watch english dubbed versions any more. I don't mind watching movies with subtitles, as long as they are not too boring!! You've a great list there... I haven't watched any except Pan's Labyrinth. I enjoyed this movie, creepy yet moving in a way. I'm so glad you liked Public Enemies. Hubby and I have been waiting months for it to come out and we were both incredibly disappointed. :( I thought Johnny Depp and Christian Bale did great, but the movie was a little too unpolished--almost like they got into a hurry getting it finished and just didn't. The editing and the sound and lighting...just not great in my book. Especially after the other great movies Michael Mann has done. On the other hand, saw a preview for Inglorious Bastards and *can't wait* for it to come out. Yes, I could sit and watch Johnny Depp in just about anything. And I love Christian Bale, so this is definitly one I need to see. We went to see Public Enemies on Saturday too. I really enjoyed it, but thought it was a little long. Christian Bale's Southern accent just didn't work for me. I really wanted to catch the new Terminator. Sadly movies are really expensive! As for dubbing in English, even when they get the same actors it makes me insane since it is then out of sync. I just can't watch it! I saw that question about subtitles, and I couldn't remember what movies I'd seen with subtitles mostly because it's not something that stands out for me. I hardly notice the subtitles at all. I like being able to hear the actors emotion in the words, and then even though I am reading them, I feel what they said. Great choices - Il Postino, Life is Beautiful, Amellie. I'll have to remember the others you have recommended. Don't forget the beginning of the Search for the Holy Grail has subtitles too. Good review - I really want to see Public Enemies! I love foreign films so definitely not put off by the subtitles. One of my absolute favorites is Il Postino. I need to see that one again. I don't mind movies with subtitles - I definitely prefer them to dubbed foreign films. I think some of my favorites have been L'Auberge Espagnol, Les Choristes, and Au Revoir Les Enfants... I apparently have a thing for French cinema? Violet - Life is Beautiful is such a wonderful film. So sad too. Maybe if the dubbing was done better . . . Usually it's horrible though. Lulu - There are so many good ones out there, aren't there? You bring up a good point about English dubbing and why it probably doesn't come off well. Kathy - It definitely felt like the 2 1/2 hour movie it was, I agree. Terry Kate - I want to see the new Terminator too, but will probably catch that one on DVD. It is a bit distracting when their out of sync, I agree. I can't help but notice their mouths aren't matching the words they are speaking. Elizabeth - My husband said the same thing when I asked him what his favorite movies with subtitles were. It's not something he notices that much, if at all. And although it may take me a moment to adjust to reading while watching, I soon forget I'm reading the subtitles at all. I don't think I've seen Search for the Holy Grail. Myckyee - Yes, it is Johnny Depp. :-) I can usually tolerate a movie in the theater still at 2 1/2 hours, but any longer than that and I prefer it on DVD. Laura - I hope you enjoy it when you see it! Hopefully you will like Public Enemies when you see it. Maybe don't go in with high expectations. Public Enemies sounds so good. I'll probably wait for the DVD, though. I tend to caption everything anyway, if possible, so I love subtitles. Not even Johnny Depp and Christian Bale are getting me into a theater for over two hours. I'll wait for it to hit TV. Wow! You have listed some of my favorite movies up there! Yes, I love subtitled films. It is great hearing something in the original language. When I was a naive snotty teenager, my best friend and I decided that only subtitled films could be considered REAL films and we haunted the foreign film section of Blockbuster. How silly is that? As for subtitles, a couple of our favorites are Eat Drink Man Woman (Chinese) and The Motorcycle Diaries (Spanish) and Amelie (French). Hi LF...My sister and I are going to see Public Enemies tomorrow. I'm so glad you liked it. I'm a Depp fan so I have to go see it. Although I'm not too sure about his role as The Mad Hatter in A & W.
Letters from Iowa Jima I saw....totally awesome. Thanks for recapping all your fun. 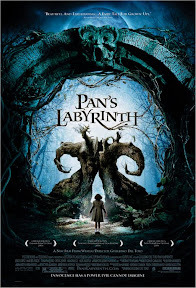 I really love foreign films, and Pan's Labrynth and Life is Beautiful are two of my favorites. And Amile! I did feel a bit annoyed when seeing Life is Beautiful with voice-overs at how they changed what was said in one of the final scenes- it didn't fit as well... Sometimes if I'm really tired, I just can't deal with subtitles, I have to kind of be in the right mood for it. Amelie and The Motorcycle Diaries are two of my favourite subtitled movies. I've got to admit to a certain fondness for Babette's Feast, too, even though I've only seen it the once and so can't really judge. I once ordered a sandwich at a film-themed restaurant solely because it was called a Babette's Feast, though, and that's gotta count for something! Aaaaaah Johnny Depp!! Thanks for sharing your thoughts about the movie. I'd love to watch it too when it comes to the cinema in Malaysia. I loved HERO and PAN's LABYRINTH! Letters from Iwo Jima - I wouldn't have thought of that one. I read Flags of our Fathers and haven't seen it completely yet - just a few bits once. So I think I'd like to see it first and then the next. Thanks for reminding me!! I thought it was a great 4th of July weekend choice too and went to see it. I would watch anything with Johnny Depp, he's so good. I didn't really like the romance part of this movie though. But I really liked the way it was filmed and the shoot em up at Little Bohemia was horrifying. And I thought the last 20 minutes was very suspenseful - even thought I knew how it would end. Carrie - The caption feature does come in handy sometimes, that's for sure. Terri - I hope you like it, Terri. It's beautiful, but oh so dark. Amy - I agree about hearing something in its original language--I prefer it that way too. One of my favorite categories at the Academy Awards is the foreign films. I usually end up adding them all to my netflix queue. At least the ones I hadn't heard of first. Carleen - Thank you! 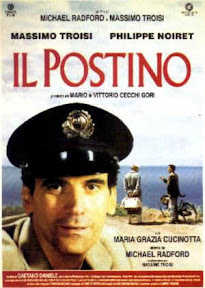 Il Postino is a great romantic film. Amelie is such a great movie. I haven't seen the other two you mention yet, but I do want to. Wisteria - I hope you enjoy the film, Donna! It's gotten mixed reviews, but I really liked it. 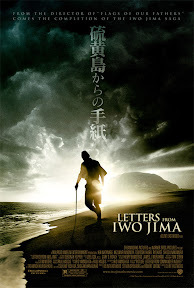 I really liked Letters from Iwo Jima too. 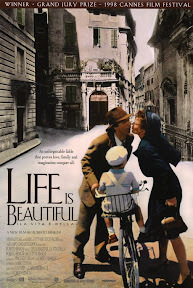 Jeane - Our copy of Life is Beautiful has both the dubbed version and the subtitles. We've yet to watch the dubbed version. Memory - I haven't seen The Motorcycle Diaries, but I've heard great things about it. Babette's Feast is another one I've missed. Mary - Oh yes! That shoot out was a nail biter! I absolutely cannot wait to see Public Enemies two of my favorite actors in one film! - I'm so glad to hear it was good. My husband and I saw it on Sunday and really enjoyed it. I thought Johnny Depp was surprisingly good! Wonderful list of foreign film you got there, Wendy. I'm tickle that you have seen "Hero", as I thought it was good movie! Also "Crouching Tiger, Hidden Dragon". I thought "Life is Beautiful" was wonderful! 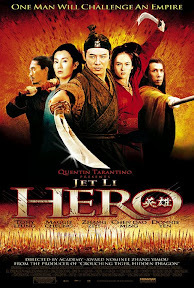 'Hero' is another great film! I'm very glad you enjoyed 'Public Enemies,' as I'm looking forward to viewing it this week :) Loved your review! I saw Public Enemies on Sunday and I liked it, too! I have trouble sitting through movies that long and usually reserve them for DVD. But I enjoyed the movie a lot. I did not like the character Baby Face Nelson and thought he was an idiot and slimy, but other than that i liked all the characters. I liked how much Dillinger cared about his friends and how loyal he was to them and to Billie. Ah subtitles... great topic. I personally enjoy expanding my movie horizons to foreign films, and I HATE dubbed films. They sound funny, they look funny, and I remember one movie in particular (The Host) where the main characters are all wailing and moaning because they've just lost someone and the dubbed voices sounded SO FAKE in comparison to what was being played out on screen. Ugh! So after that scene, I switched to subtitles and enjoyed it much more. Other foreign films I've really liked are Pan's Labyrinth, Life is Beautiful, and Crouching Tiger, Hidden Dragon. Carrie (B&M) - I hope you like the movie, Carrie! I can't resist seeing Johnny Depp in a film. Julia - I love movies like Hero and Crouching Tiger, Hidden Dragon. The martial arts moves are amazing and the cinematography is so beautiful. Thank you so much for your kind words, Julia. You are selling yourself short. You write great reviews! Lindsey - I hope you enjoy Public Enemies, Lindsey! I nearly forgot about Hero until my husband reminded me how much I enjoyed that one. Rebecca - I am glad to hear you liked Public Enemies too! I am right there with you when it comes to Baby Face Nelson. Kim - I really enjoy seeing what other countries are putting out there in the way of movies. So many of them are very good and sometimes offer a perspective many people might not have been aware of before. I'm with you in regards to watching dubbed films. Not so good! I love foreign films and have no problem with subtitles. I actually really hate dubbing, how their mouths don't match up to the words, it drives me crazy! Nat - Yes, watching a dubbed film is a distraction in itself when their mouths don't match the words. Definitely do see Letters from Iwo Jima. It's so good!